Weill Cornell Medicine’s Department of Cardiothoracic Surgery is proud to partner with NewYork-Presbyterian, ranked #4 in the nation and #1 in New York by US News and World Report. At Weill Cornell Medicine, expertise and quality patient care go hand in hand. Our heart surgeons are some of the best in the nation — and have a proven record of superior results. To learn more about the services we offer and how to make an appointment, visit the links below. Visit our Department's website to learn more about our Heart Surgery services. Today, there are more adults living with congenital heart disease than children. Unfortunately, however, it is common for people born with congenital heart disease to “get lost in the healthcare system” after age 25. Here at the Weill Cornell Medicine Department of Cardiothoracic Surgery, our surgeons specialize in treating adults with congenital heart disease. Our patients include adults who have not been diagnosed until adulthood, as well as those who had congenital heart surgery as children and need additional procedures as adults. An aortic aneurysm is an enlargement or dilatation of the aorta, the body’s major blood vessel responsible for carrying blood to the entire body. 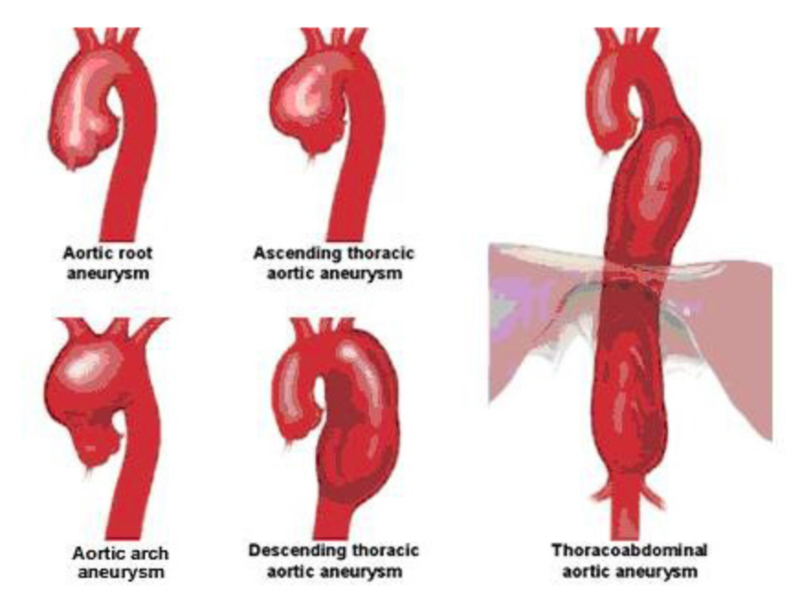 Aortic aneurysms tend to grow slowly. If the aorta becomes too large, it may be at higher risk for rupturing (bursting) or tearing (aortic dissection), requiring surgery to repair it. Aortic aneurysms are frequently detected during routine medical exams, as well as a chest X-ray or an ultrasound of the heart or abdomen. Once an aneurysm has been identified, the condition is assessed to determine if surgery is necessary. If not, the condition is closely monitored. The heart surgeons at Weill Cornell Medicine have extraordinary expertise and experience in repairing aortic aneurysms. In fact, we have one of the largest aortic surgery centers in the region and country. Weill Cornell Medicine is unique in that it successfully performs all of these types of surgery on a routine basis. We have some of the lowest complication rates in the world. While most hospitals perform less than 20 thoracic aortic aneurysm repairs per year, our team typically repairs 140 per year. This places us between the 98 and 99th percentile nationally for the number of procedures performed annually. We offer minimally invasive, endovascular stent grafting (TEVAR) for aneurysm repair. This is an excellent alternative to traditional, open-heart surgery to repair many aneurysms of the thoracic aorta. Our surgeons thread a catheter into the aorta through an artery in the groin. A stent is guided through the catheter and placed at the site of the aneurysm, where it is opened and excludes the aneurysm from the rest of the aorta. Learn more about minimally invasive heart surgery at Weill Cornell Medicine. Aortic valve-sparing aneurysm repair: Our surgeons perform a large number of aortic valve-sparing aneurysm repairs, a procedure that allows patients to keep their own valve instead of replacing it with a prosthetic valve. This can provide a durable, life-long solution to aortic valve problems that helps avoid future operations or treatment with blood thinners. We have had a 0% mortality associated with this operation for over 15 years and 99% of those repaired using our current technique have not needed additional aortic valve surgery. Heart valves are flaps of tissue that ensure that blood entering or leaving the heart moves in the right direction, with no backflow. The aortic valve is the main heart valve that controls blood flow between the heart and the rest of the body. A heart valve can become dysfunctional in two ways: stenosis or insufficiency. 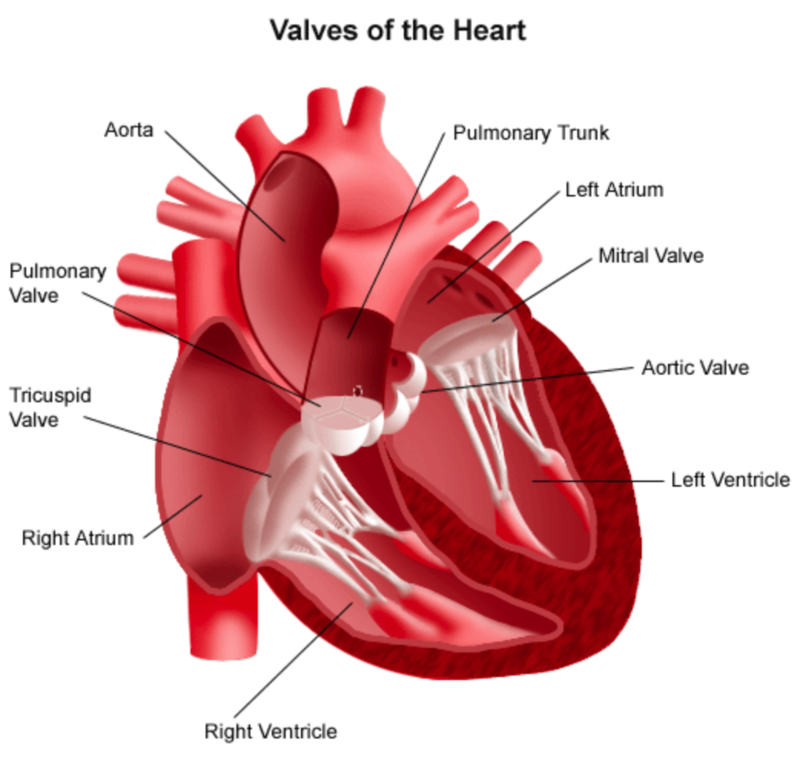 Valve stenosis is due to the inability of the heart valve to open properly. As this tightening of the heart valve becomes increasingly severe, it prevents the heart from being able to pump enough blood through the valve. This condition can occur in the aortic valve; this is called aortic stenosis. Valve insufficiency, or regurgitation, is due to ineffective closure of the valve that leads to blood being pumped backwards instead of forward. Aortic insufficiency is often caused by degeneration of the aortic valve tissue or damage to the valve from other causes. Patients with aortic aneurysms may have excessive stretching of the valve, which causes insufficiency. At Weill Cornell Medicine, our cardiothoracic surgeons have exceptional experience and expertise in the surgical techniques for repairing and replacing aortic valves. Minimally invasive aortic valve replacement: Our surgeons are experiences and successful in performing traditional, open-heart surgery to replace aortic valves. Our team has also led the development of less invasive techniques, including percutaneous transcatheter valve replacement technology (TAVR and TMVR). Our team plays a leading role in the clinical trials assessing the latest percutaneous mitral and aortic valve replacement approaches, giving us more experience than most centers in these emerging new techniques. We have achieved superior outcomes using these innovative approaches, which make valve replacement possible for many patients who otherwise would not be good candidates for conventional heart surgery. 1. The PARTNER Trial, which in 2011 demonstrated that transcatheter aortic valve implantation (TAVI) was as effective as conventional open-heart surgery for reducing mortality among high-risk patients with aortic stenosis. In 2010, PARTNER Trial investigators reported that patients who were not candidates for surgery fared much better with TAVI than patients who were treated medically. Currently, our team is conducting a new trial assessing the safety and efficacy of the SAPIEN 3 transcatheter heart valve in low-risk patients. 2. The EVEREST II trial, which evaluated the percutaneous implantation of a clip that grasps and approximates the edges of the mitral valve leaflets. The percutaneous approach was associated with superior safety and similar improvements in clinical outcomes compared with conventional surgery. Cardiac (heart) tumors are most often benign or noncancerous. They have the potential, however, to become cancerous, and their presence may interfere with normal heart function and possibly cause a stroke. A cardiac tumor requires immediate and careful treatment. The Weill Cornell Medicine Department of Cardiothoracic Surgery has exceptional experience detecting and treating benign and cancerous cardiac tumors. Benign tumors: Our surgeons are experienced in removing benign tumors of the heart, such as myxomas and fibroelastomas. The most common benign heart tumor is a myxoma, an abnormal growth of neoplastic tissue, which can block valves or cause a stroke. Malignant (cancerous) tumors: Malignant heart tumors—typically sarcomas—are less common and require careful consideration. Our heart surgeons are experienced in removing resectable tumors of the great vessels and the heart. Our surgeons will review your findings with you and help guide you toward the proper treatment. Careful analysis of the imaging is required to ensure that we can perform a complete resection of the tumor. Coronary artery disease afflicts a large number of Americans. When cholesterol and calcium build up in the arteries (the vessels that pump blood from the heart throughout the body), this can cause blockages or “hardening” of one or more arteries. If left untreated, the blockages can cause a heart attack. The most common surgical treatment for coronary artery disease is coronary artery bypass graft (CABG). This procedure has proven to lower the risk of future heart attack and the need for additional procedures. It has also proven to result in less chest pain (often referred to as “angina”) and a longer life expectancy. Why choose Weill Cornell Medicine for CABG surgery? Our outcomes are consistently among the best in New York State and routinely exceed the national average. The most current mortality rate for CABG surgery at Weill Cornell Medicine is only 0.085%. Before surgery, our surgical team carefully analyzes the coronary angiograms and performs ultrasound testing to determine the best approach. During CABG surgery, the surgeon takes a blood vessel from the chest, arms, or legs and uses it to route blood around blockages in the coronary arteries in order to restore adequate blood circulation to the heart. The surgeons at Weill Cornell Medicine’s Department of Cardiothoracic Surgery offer exceptional care to patients with advanced heart or lung deterioration. The extracorporeal membrane oxygenation (ECMO) is a group of devices that provide extracorporeal life support to the entire body so that the heart and lungs can heal and strengthen. These devices help take the oxygen-poor blood form the venous system of the body, infuse the blood with oxygen, and pump the oxygenated blood to the body and vital organs. The heart and lungs are kept in a resting state. ● Pump that powers the circuit by pulling blood from the venous side and pushing it into the patient’s arterial circulation. ● Tubing that connects the pump to the body. One tube carries the dark venous blood from the veins to the pump. A second tube carries the bright red oxygenated blood back to the body. ● Oxygenator that saturates the blood with oxygen molecules, which are needed for the body to function properly. ● Electronic control system that allows specialists to monitor and adjust the speed of the pump and the amount of blood flowing through it. Many cardiothoracic surgery centers will not operate on patients over age 80, considering them to be at high risk for complications. At Weill Cornell Medicine, we frequently treat patients over 80 with complex cases—and have garnered a reputation as experts in doing so. As with all patients, the care of older patients requires a team approach. Elderly patients often have other medical conditions that need to be considered and addressed. One of the most common complications of heart surgery for elderly patients is stroke. Our surgeons have conducted pioneering research to minimize this risk with proper blood pressure management during surgery. With this approach, we dramatically lower the potential for a stroke. Elderly patients who require valve replacement and repair may benefit from minimally invasive percutaneous approaches that obviate the need for conventional surgery. Weill Cornell played a leading role in pivotal clinical trials establishing the effectiveness of this approach, and therefore has more expertise in this technique than many other New York-area hospitals. Less invasive surgical techniques have transformed surgery in many fields, including cardiothoracic surgery. Smaller incisions mean less blood loss, less discomfort, a shorter hospital stay, and a faster recovery. Weill Cornell Medicine’s Department of Cardiothoracic Surgery specializes in many minimally invasive surgical techniques. In fact, our surgeons have pioneered many of these approaches. Transcatheter aortic valve replacement (TAVR): This minimally invasive approach repairs or replaces a diseased heart valve by threading a catheter up to the heart through a blood vessel in the groin. Weill Cornell surgeons were leaders in the clinical trials that established this technique’s effectiveness. Mini-sternotomy or partial sternotomy: Many procedures, such as aortic valve replacement, mitral valve repair/replacement, and aneurysm repair can be performed through a small incision and partial sternotomy. This is an alternative to traditional, “open-heart” surgery. Endovascular stent-graft placement for aortic aneurysms (TEVAR and EVAR): Some patients needing an aneurysm repair may be good candidates for this type of minimally invasive surgery. The surgeon threads a catheter into the aorta through a blood vessel in the patient's groin. A stent (metal or plastic tube) is guided through the catheter and placed at the site of the aneurysm, where it opens up and acts as a scaffold to support the walls of the aorta. Weill Cornell was chosen as one of only two centers in the New York metropolitan area to use a new, FDA-approved device, which allows for more rapid recovery. Coronary artery bypass graft (CABG): The surgeon performs this procedure through a two- or three-inch incision between the ribs. Our surgeons conduct this operation using a specialized surgical robot and heart stabilizer developed by Weill Cornell surgeons. Some patients may have "off-pump" beating heart surgery that can be accomplished without the need for a heart-lung machine. invasive approach that uses a catheter to repair or replace a diseased valve by threading a catheter up to the heart through a blood vessel in the groin. We are able to use this approach to replace mitral and aortic valves. Weill Cornell surgeons were leaders in the clinical trials that established percutaneous valve surgery’s effectiveness. Heart valves are flaps of tissue that ensure that blood entering or leaving the heart moves in the right direction, with no backflow. A heart valve can become dysfunctional in two ways: stenosis or insufficiency. The mitral valve controls blood flow between the heart and the lungs. If the mitral valve dysfunctions, the lungs can become congested with blood. Excess fluid in and around the lungs causes shortness of breath, and backed up fluid causes swelling throughout the body. ● Mitral valve stenosis occurs when the mitral valve does not open properly. Over time, the mitral valve and supporting structures become stiffer, shorter, and tighter. This makes it harder for the valve to open and the heart to pump blood throughout the body. This disorder is most often caused by rheumatic fever and rheumatic heart disease. ● Mitral valve insufficiency, or regurgitation, occurs when the valve does not close effectively. This can cause blood to be pumped backwards instead of forward, leaking blood into the lungs. This leads to increased fluid in the lungs and can cause high pressures in the arteries of the lungs (pulmonary arteries). If mitral regurgitation is left untreated, the heart becomes weakened, which may lead to heart failure. Mitral valves can be repaired with surgery. At Weill Cornell Medicine’s Department of Cardiothoracic Surgery, our surgeons are experienced in using a variety of techniques to repair and replace all heart valves, including the mitral valve. ● Repairing the mitral valve using an annuloplasty ring, which shrinks the valve to the normal size and shape. This technique reverses the stretching caused by mitral regurgitation. ● Removing excess tissue in the mitral valve caused by mitral regurgitation and repairing the normal tissue using small sutures (stitches). ● Repairing the mitral valve using a neochordae, a set of synthetic threads connecting the mitral valve to the surrounding structures. Why choose Weill Cornell Medicine for mitral valve surgery? NewYork-Presbyterian Hospital/Weill Cornell Medicine has an international reputation for excellence in heart surgery for children. Our program – in partnership with NewYork-Presbyterian, the #1 hospital in New York for 17 years running – is among the best in the nation, according to U.S. News & World Report. It was ranked #10 in the country by the publication’s 2017-2018 survey. Children with heart disorders often have multiple health problems. They also have complex needs and require immense support. At Weill Cornell Medicine, we offer highly specialized surgical options, comprehensive care, and support for the children and their families. The pediatric cardiothoracic surgeons at Weill Cornell Medicine offer the most advanced surgical options. The pericardium is a thin sac that surrounds the heart, separating it from the lungs and other organs in the chest. It is composed of two layers—an inner and outer layer—that hold fluid in between. There are several types pericardia diseases, all of which require specialized, comprehensive care. This condition is caused by the pericardium becoming inflamed. Pericarditis can cause chest pain, changes in the heart’s rhythm (referred to as “EKG changes”), or the accumulation of fluid around the heart (pericardial effusion or pericardia tamponade). Fluid around the heart must be drained. Weill Cornell Medicine’s Department of Cardiothoracic Surgery offers state-of-the-art techniques for draining the pericardium, including percutaneous drainage—a minimally invasive technique that uses advanced imaging technology. Chronic inflammation may lead to severe thickening of the pericardium, which restricts the heart. To treat constrictive pericarditis, cardiac surgeons at Weill Cornell Medicine perform a pericardiectomy, commonly referred to as “pericardial stripping” to maximize relief and prevent future recurrence. Pericardial cysts are sacs of fluid surrounded by a fibrous layer of tissue. A skilled surgeon can safely remove them, often using minimally invasive techniques. Why choose Weill Cornell Medicine for pericardial disease treatment? Weill Cornell Medicine is at the forefront of minimally invasive heart surgery techniques, including robotic cardiac surgery. This is a type of minimally invasive surgery that uses robotic instruments and very small incisions to operate on the heart. This is an alternative to traditional, “open heart” surgery (sternotomy). The ability to perform surgery through tiny incisions can improve both the outcome of surgery and recovery time. Smaller incisions mean less blood loss, less post-operative discomfort, a faster recovery, and a lower risk of infection. In many cases—including mitral valve repair—the success rates using robotic surgical techniques are higher than when traditional surgery is used. The Weill Cornell Medicine Department of Cardiothoracic Surgery offers endoscopic robotic surgery to patients who are good candidates for these procedures. Atrial fibrillation is a type of arrhythmia (irregular heart rhythms) caused by irregular electrical transmissions through the heart. With atrial fibrillation, the atria (the two small upper chambers of the heart) beat chaotically, which can cause blood to pool and clots to form. NewYork-Presbyterian/Weill Cornell Medical Center is a leader in diagnosing and managing arrhythmias in both adults and children. The cardiac surgeons at Weill Cornell Medicine offer CryoMAZE—a surgical procedure for patients with atrial fibrillation who are also having an open-heart procedure. The CryoMAZE surgery can interrupt the path of aberrant electrical impulses that cause the arrhythmia. The area around the pulmonary veins— the site where irregularities in the electrical impulses most likely form — is treated with freezing temperatures. This treatment forms a barrier that disrupts the pathway of abnormal electrical impulses, thereby curing the arrhythmia. At Weill Cornell Medicine, our success rate for CryoMAZE is 90 percent. • Our unique post-CryoMAZE procedure follow-up program: For two years after surgery, all patients receive a heart rhythm-monitoring devise at three- to six-month intervals. The devise is worn for five consecutive days to collect data and create detailed records of the heart rhythm. This guides long-term medication management strategies. For patients who need a mitral or aortic valve replacement, Weill Cornell Medicine’s Department of Cardiothoracic Surgery offers several surgical options, including a minimally invasive technique called percutaneous transcatheter valve replacement (TAVR or TMVR). TAVR is a minimally invasive approach in which a surgeon threads a catheter (thin tube) up to the heart through a blood vessel in the groin to replace the damage valve. This technique makes valve replacement possible for patients who would not tolerate conventional heart surgery. • The PARTNER Trial, which in 2011 demonstrated that transcatheter aortic valve implantation (TAVI) was as effective as conventional open-heart surgery for reducing mortality among high-risk patients with aortic stenosis. In 2010, PARTNER Trial investigators reported that patients who were not candidates for surgery fared much better with TAVI than patients who were treated medically. Currently, our team is conducting a new trial assessing the safety and efficacy of the SAPIEN 3 transcatheter heart valve in low-risk patients. • The EVEREST II trial evaluated the percutaneous implantation of a clip that grasps and approximates the edges of the mitral valve leaflets. The percutaneous approach was associated with superior safety and similar improvements in clinical outcomes compared with conventional surgery. Our physicians continue to play a leading role in the clinical trials assessing the latest percutaneous mitral and aortic valve replacement approaches, giving us more experience than most centers in these emerging new techniques. Heart failure causes the heart to become too weak to pump blood to other parts of the body effectively. This serious condition may be treated with medication, but advanced heart failure may require a heart transplant or other intervention. Weill Cornell Medicine offers exceptional care to help our patients live longer and enjoy a better quality of life. • Permanent support system for patient not eligible for a transplant. • A pump implanted in or near the upper part of the abdominal wall that is connected to the heart at two points. A tube carries blood from the ventricle to the pump. The blood is pumped through a second tube to the aorta or pulmonary artery, and distributed to the lungs or throughout the body. • An electronic control system connected to the pump. • A power supply (rechargeable batteries) connected to small batteries. Patients wear the controller on a belt and the batteries on a vest-like shoulder holster. The left ventricle is the chamber responsible for pumping oxygen-rich blood from the heart to the aorta for transport to the rest of the body. Left ventricular assist devices (LVADs) take on the workload of the left ventricle, helping the heart to pump oxygenated blood to the rest of the body. As a result, all tissues and organs receive the blood supply needed. The right ventricle pumps blood to the lungs, where it can receive oxygen. Right ventricle assist devices (RVADs) are commonly used in conjunction with LVADs — which is referred to as a biventricular assist device (BiVAD). With a VAD, patients feel better, and are able to live more active, normal lives. Why choose Weill Cornell Medicine for VAD implementation and management? Our surgeons specialize in implementing a wide variety of VADs, selected and tailored for each patient and specific situation. A multidisciplinary team — comprised of surgeons, cardiologists, nurses, physical therapists, psychiatrists, nutritionists, and social workers — assures comprehensive care in the hospital and afterward. For patients awaiting a heart transplant, Weill Cornell Medicine surgeons collaborate with heart surgeons at NewYork-Presbyterian Hospital/Columbia University Medical Center — a renowned center for heart transplantation — to offer one of the largest VAD programs in the nation. "My husband came on a Saturday after the cardiologist told us to go emergently to the ED. He did ultrasound and saw a huge aneurysm with a tear in the wall. Dr Dimitrios came in to see us and explained that we had to do surgery. He finished the surgery the same afternoon and saved his life!!!" Talking about David M. Kalfa, M.D., Ph.D.
"Dr. Kalfa did our son's heart transplant surgery. He was excellent in explaining clearly and sufficiently what the risks were and how long the surgery potentially would take. He was very kind and warm. Our son's surgery went very well, and his recovery is on track. We are thankful to Dr. Kalfa and the team of transplant doctors, nurses, and support staff for all they did and continue to do for him." Talking about Christopher Lau, M.D. "I learned after a CT scan that I had an ascending aorta aneurysm 4cm which scared me. I met with Dr. Lau and my fears quickly diminished. I spoke with him and he was very reassuring and knowledgeable. Dr. Lau answered all of my questions with patience and clarity. Thankfully I was not in need of immediate attention or surgery and was told I could go about my life as usual and he'd put me on a watch list and see me in a year! I highly recommend Dr Christopher Lau, excellent physician!"